You’ve gone into business for yourself. You are beginning to build a client base. Suddenly you think, “Holy Cow, how am I going to keep track of all these people?” The answer is a good customer relationship manager (CRM) program. There are lots of them out there, so how do you choose. Attached is an excellent article that should help you decide. Customer Relationship Management (CRM) software is a must for every B2B business and most consumer businesses. CRM software enables a business to record contact information, track interactions, and plan follow-up tasks with clients. Businesses that don’t have CRM software do the same task much less efficiently, through a combination of email inboxes, spreadsheets, and calendars. Implementing a CRM system tends to lead to greater revenue, without a company having to spend more on advertising or hire more salespeople. There is no wrong time to start using a CRM software; however, the sooner the better. The most difficult part of implementing a CRM system is getting all the data into the system. The less data that exists outside the system, the easier it is to get started. Choosing the right CRM for your business can be a difficult task, especially given the hundreds of options, the differences in features between providers, and the wide range of price points. To help lift the burden, we’ve pinpointed five questions you should ask to narrow down the CRM search. SEE ALSOCan You Provide Stand-out Customer Service? 1. How many employees do you have? The more users on a system, the more you have to worry about staying organized and keeping information secure. If you have more than 10 users or so, you’ll probably want the ability to change access privileges so you can control what each user can view and edit. If you have multiple sales teams, you may also want territory management, which lets you divide sales people into teams so they aren’t all sharing leads or clients. You can find both these features in Zoho CRM. If you have under 10 users, then these issues probably aren’t as big of a concern. Rather than deal with the additional cost and effort of setting it up, you could use a simpler system like Insightly or Nimble. 2. Do you need it for sales, marketing, customer service—or all three? While CRMs are most commonly used by salespeople to manage their deals, systems like Zoho, SugarCRM, and Salesforce can also be used to handle customer service cases and online marketing campaigns. For example, you can have customer service tickets automatically imported from a form on your website. A customer service agent can then log in to view these tickets, send a response to resolve the issue, or pass it along to another agent. Likewise, you can import leads from web forms and have these prospective customers added to email campaigns. If you’re looking for just online marketing and sales tools, Hatchbuck offers robust online marketing tools that are also a bit more user friendly. By tracking user behavior such as what links they clicked, or (if you’re an online store) what purchases they made, you can build a detailed profile of customer preferences. You can use this data to send more personalized marketing materials, such as a coupon for a product they’ve shown interest in. If you only need basic contact and sales management, then you can keep things simple by using Insightly or Nimble. 3. Do you want it to work with other systems? Do you want to be able to quickly send sales information to your accounting software? Or perhaps you want to sync your contact book with your email marketing service? These are just two of many ways you can integrate your CRM with other systems. Realtors, online stores, contractors, developers, human resources departments, and project managers all have special software they use day to day. Integrating with a CRM can mean less tedious work and reduce the chance of errors when you transfer data between systems. Salesforce boasts the largest number of integrations and add ons of any CRM, with over 2,600 available in their app store. Zoho and SugarCRM also support many third party integrations. However, even if the software you want isn’t supported, you can potentially build it yourself if you or someone you know is handy with code. Zoho and Salesforce have an API and SugarCRM gives you access to the source code. Insightly and Nimble have fewer integrations, but they can still be linked with popular software like Quickbooks, Mailchimp, or Evernote. 4. What additional features do you need? There’s loads of additional features you may want and only be able to find in certain CRMs. For example, many businesses today want to be able to monitor social media channels to find mentions of their businesses, or see what their clients are up to. You’ll find this in Zoho and Nimble, although Nimble takes it much further by combining all your social media and email connections into a single contact book. Nimble then scans these channels for opportunities to engage. Insightly includes project management tools, which can be great for businesses who want to track the progress of an order after the deal has been finalized. Zoho also includes project management, but you have to install it as an add on. Zoho actually offers many other business programs, such as accounting, website visitor tracking, help desk and more, which can all be linked with the CRM. Bitrix24 takes a unique approach by adding collaboration tools to their CRM. You can IM or video chat with other users, collaborate on documents, and post statuses with comments, much like Facebook. The best part, however, is that there’s a free edition for up to 12 users. 5. How much can you afford to pay? Answering these five questions will get you started on the search for a CRM. Remember that each additional feature tends to raise the cost and complicate setup. Rather than fumble with advanced features that won’t even be used, stick with what you need and you’ll likely see a lower price tag. 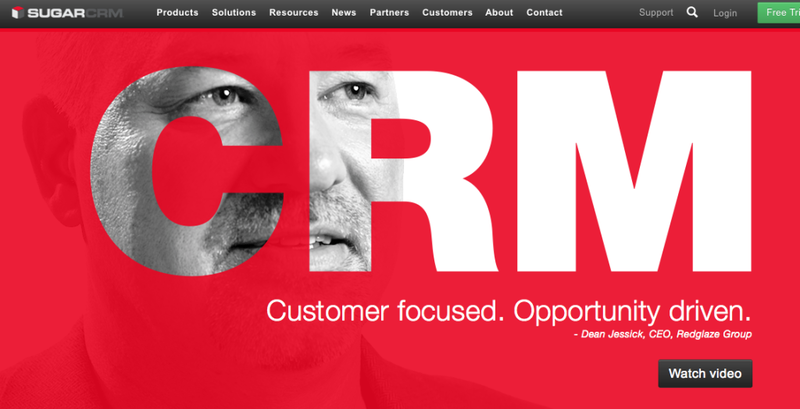 Which CRM does your business use, and have you found it suits your needs? Share your experiences in the comments. ABOUT THE AUTHOR Marc Prosser is the publisher and co-founder of Fit Small Business, a “how to” publication for small business owners. Prior to starting Fit Small Business, Marc Prosser served as the Chief Marketing Officer of FXCM (NYSE:FXCM). During his eleven year tenure as CMO, the company grew from under 10 people to over 500 employees located throughout the globe. Parking is literally an uphill battle in San Francisco. Can the available enhanced active park assist* handle it?